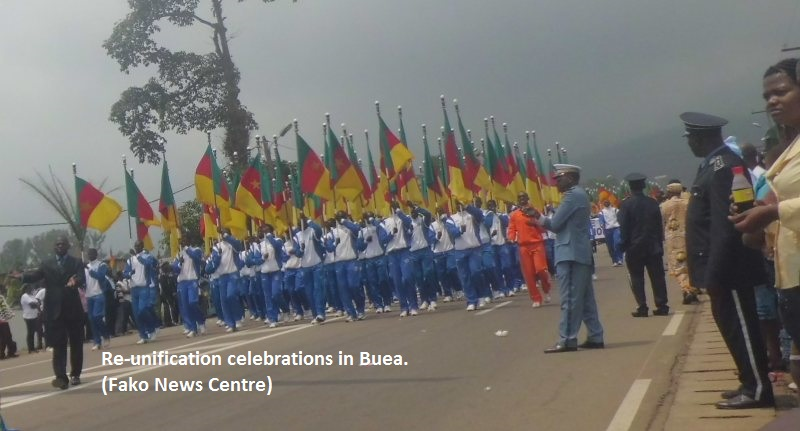 CELEBRATION OF THE 50TH ANNIVERSARY OF THE RE-UNIFICATION OF CAMEROON IN BUEA; PRESIDENT BIYA REMINDS THE NATION OF THE IMPORTANCE OF BUEA IN CAMEROON’S HISTORY. 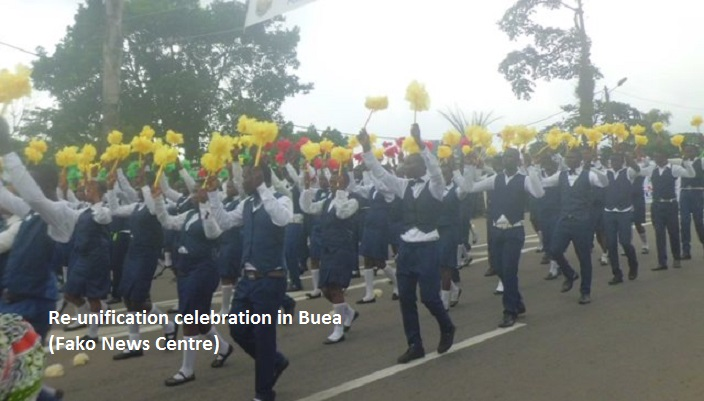 Though the event was celebrated in all ten regions in the country, celebration in Buea was very special because it witnessed the end of a cycle of activities and the presence of the President of the Republic, H.E. 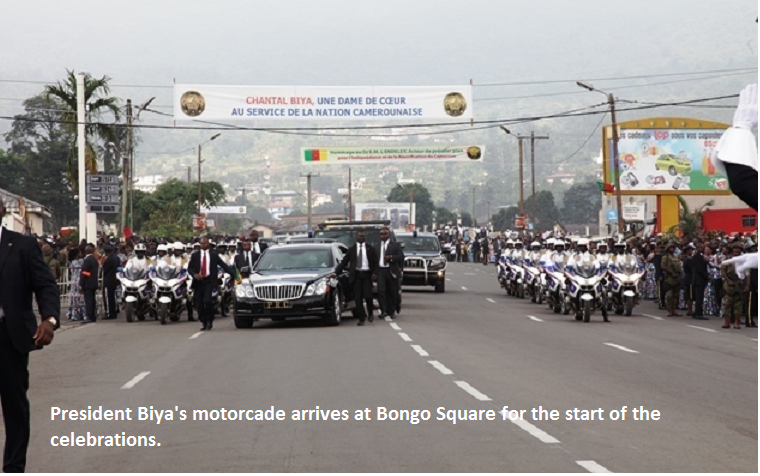 Paul Biya, top government officials, heads of diplomatic missions, representatives of the international organisations and Cameroonians of diverse cultural backgrounds drawn from the nooks and crannies of the country. 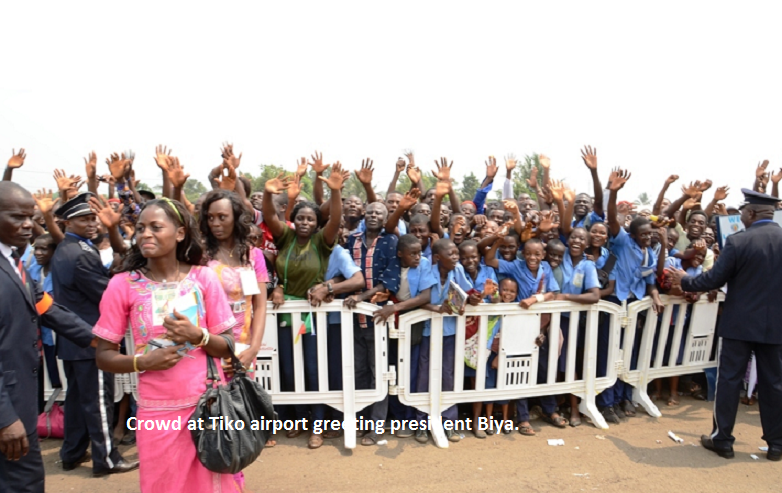 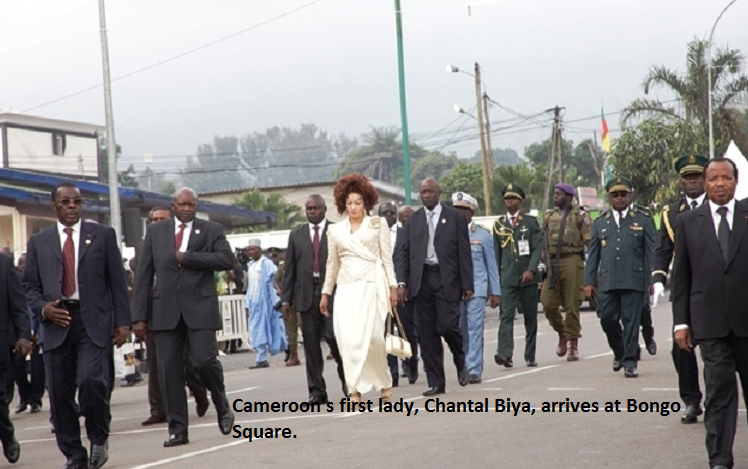 President Biya and his wife Chantal arrived Buea on Tuesday 18 February and left on Saturday 22 February. 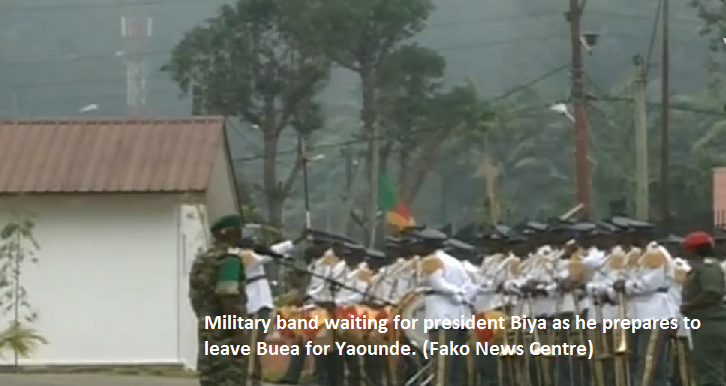 After saluting the population, the president of the republic started his speech in English in the following words “At long last, here we are in Buea! 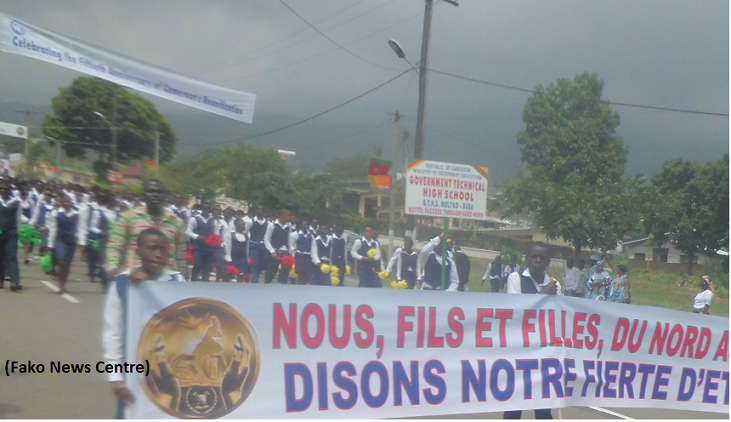 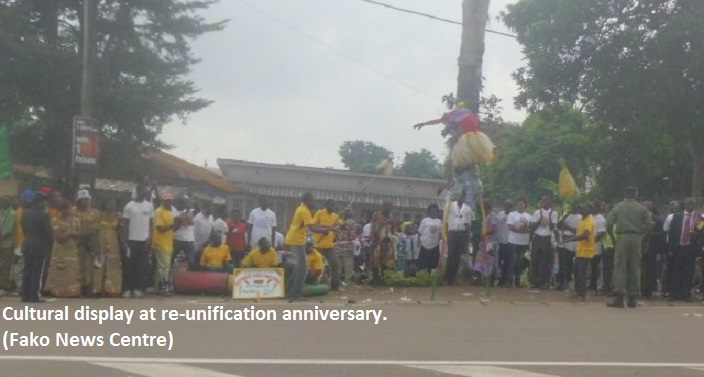 Here we are in Buea to celebrate the 50th anniversary of our re-unification. 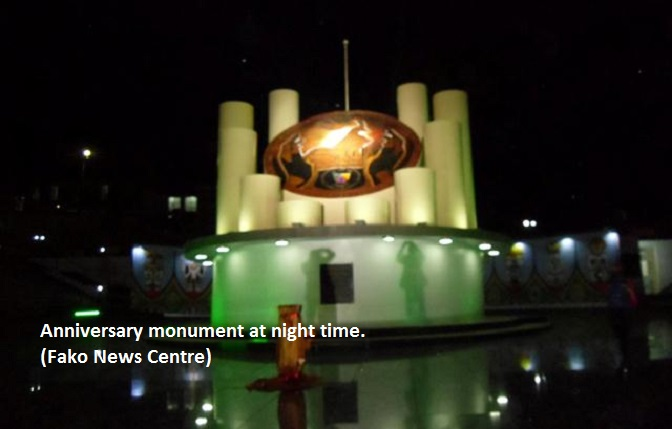 As the English people say, BETTER LATE THAN NEVER. 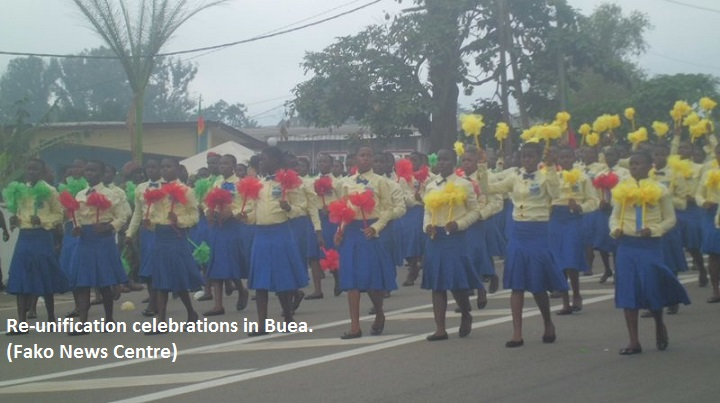 In fact, after a long period of preparation, we are finally glad to be here in this historic town of Buea, the town of LEGENDARY HOSPITALITY. 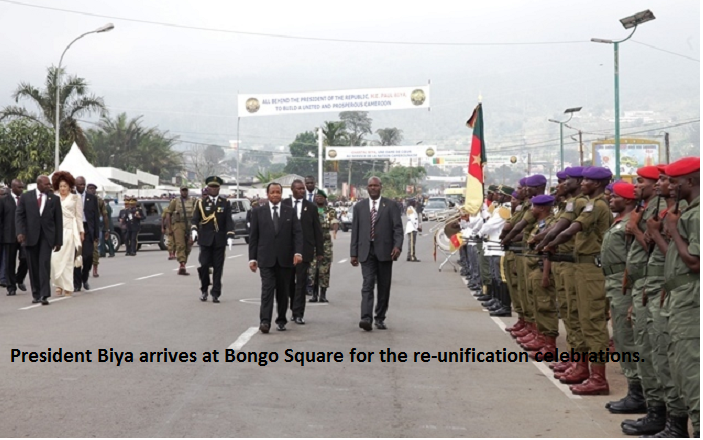 I am glad to be in Buea, the bedrock of our re-unification. 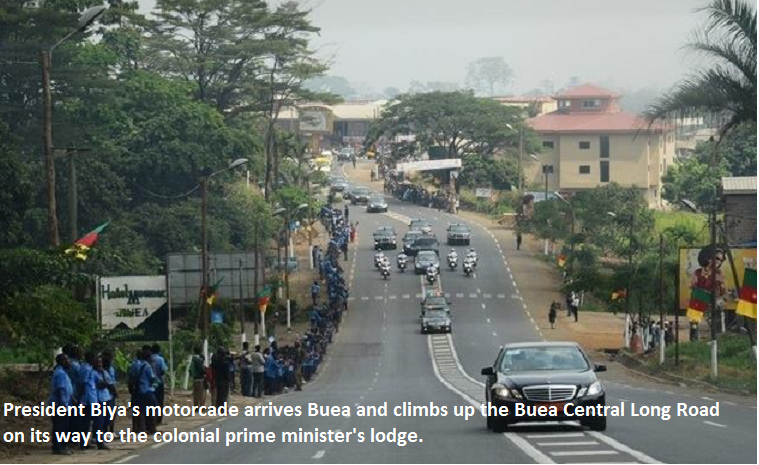 History has not forgotten that Buea was the headquarters of West Cameroon. 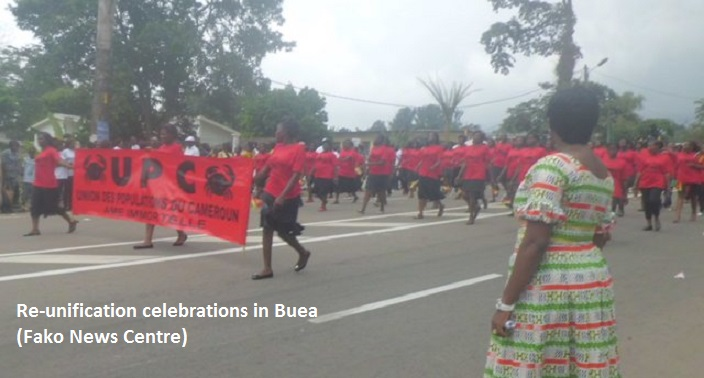 History has not forgotten that Buea was the capital of Southern Cameroons. 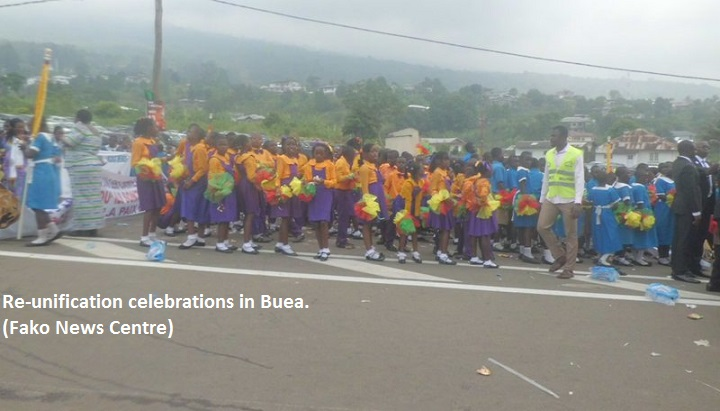 And history has not forgotten that Buea was once the capital of German Cameroon. 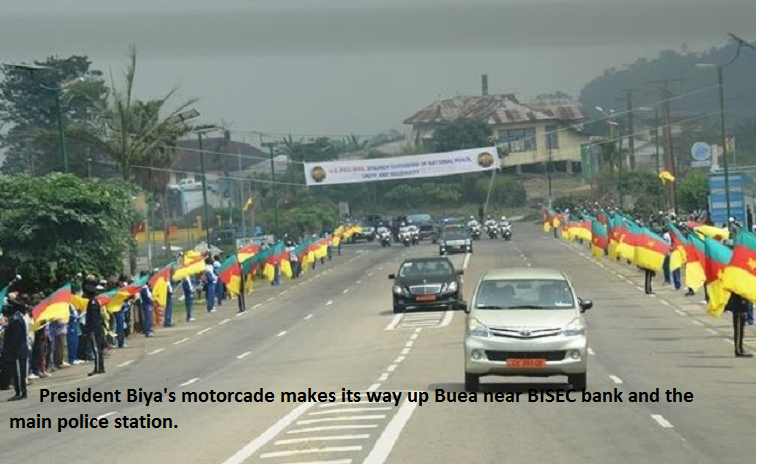 That is why I say that Buea is a historic town”. 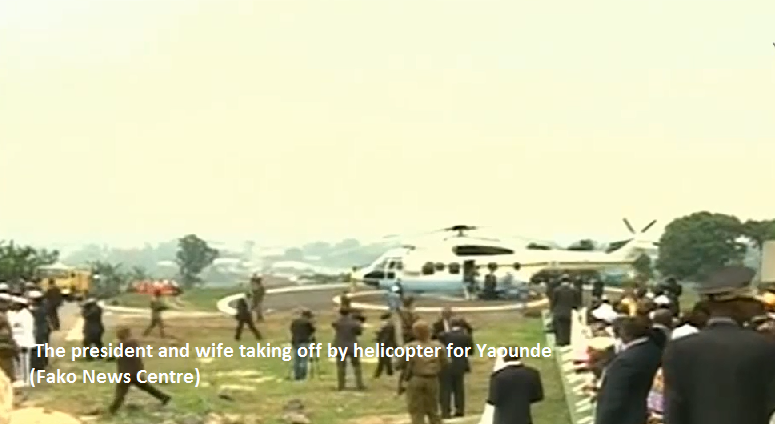 This introductory part of his speech was received with applause especially for those who were hearing him speak in English for the first or after a very long time. 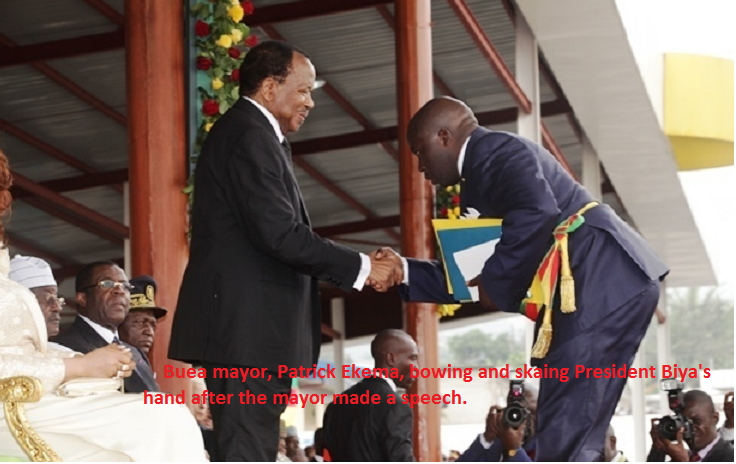 After expressing his gladness about being in Buea again, he continued his speech in French. 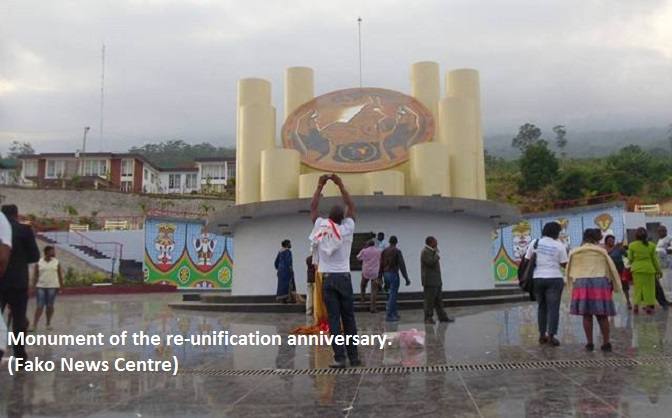 This time, he outlined the number of achievements realised especially in the domains of education and health since the independence and re-unification of the country despite enormous challenges. 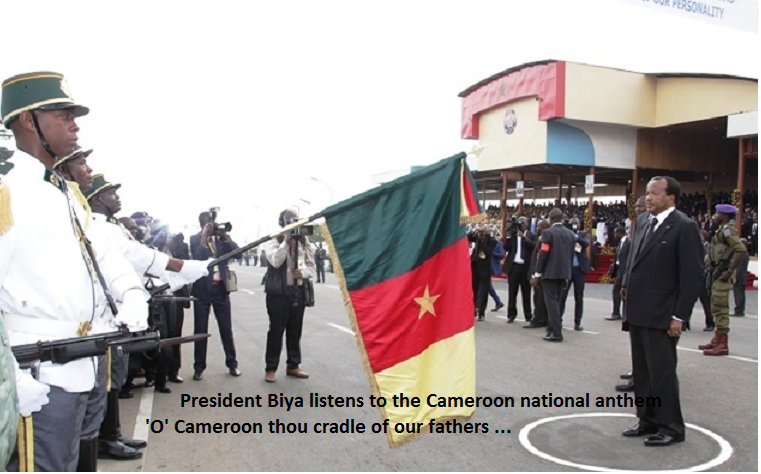 The President also acknowledged the cultural diversity of Cameroon and maintained that it is part of the country’s identity. 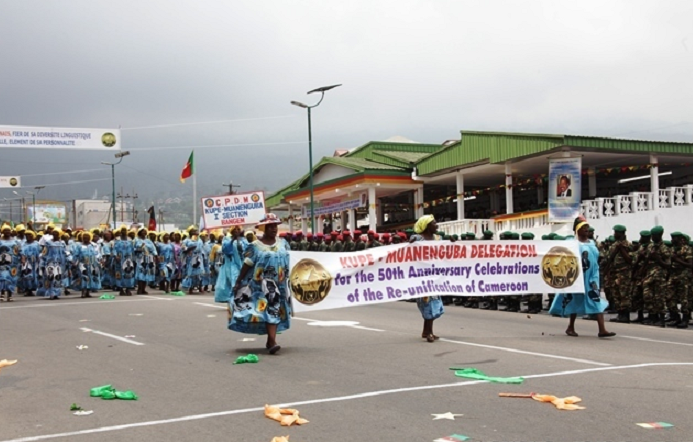 He explained that the jubilee period with celebrations marking the fiftieth anniversary of Cameroon’s independence was launched three years ago. 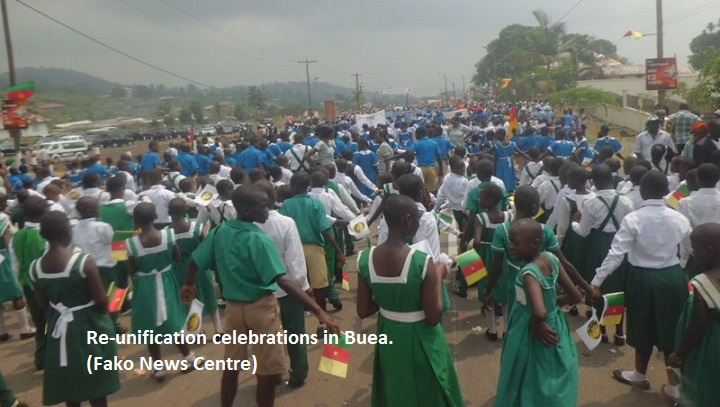 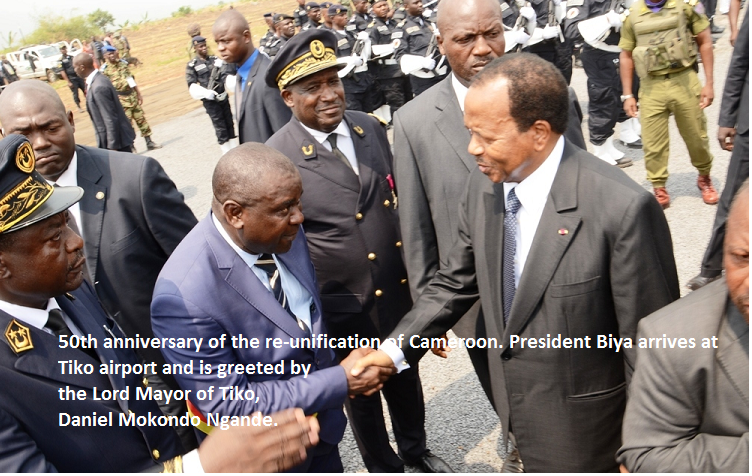 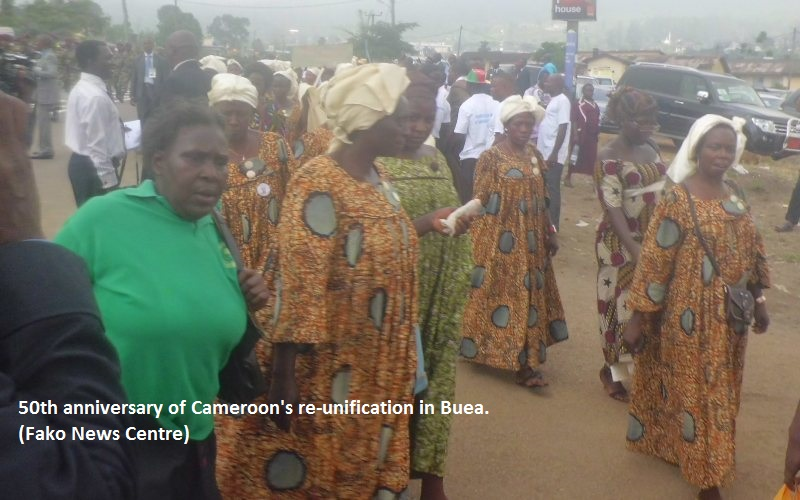 President Paul Biya added that the celebration of the fiftieth anniversary of re-unification in Buea where it took place will close the cycle of events which has helped Cameroonians to revisit their history. 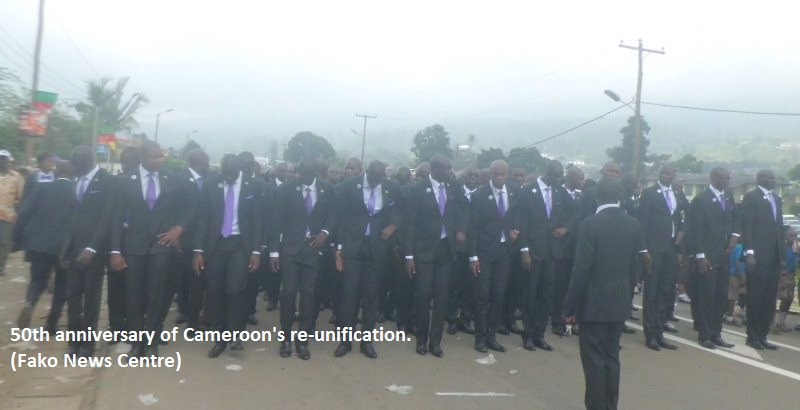 Before closing his speech, he noted that Cameroonians have every reason to be proud of their re-unification and the best way of being worthy of it is to spare no effort to preserve this national unity. 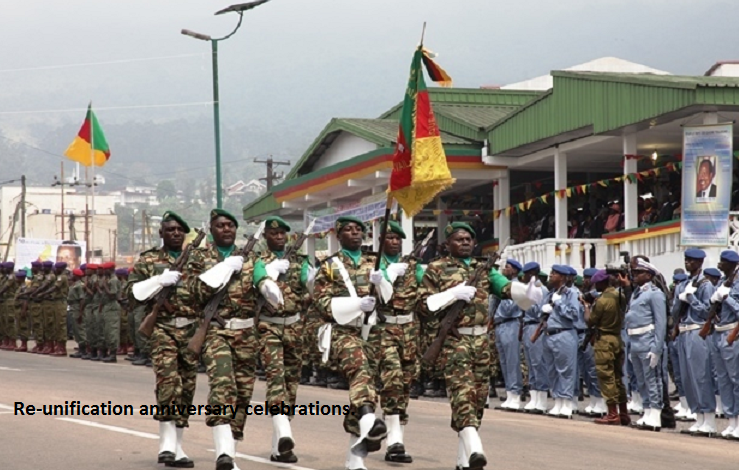 The end of his speech was followed by a close to three hours march pass by the military, pupils, students and political parties and diverse cultural dances were also performed by groups drawn from all regions of the country. 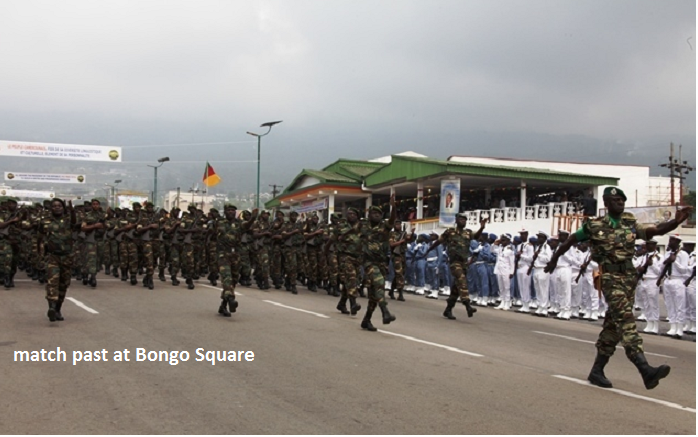 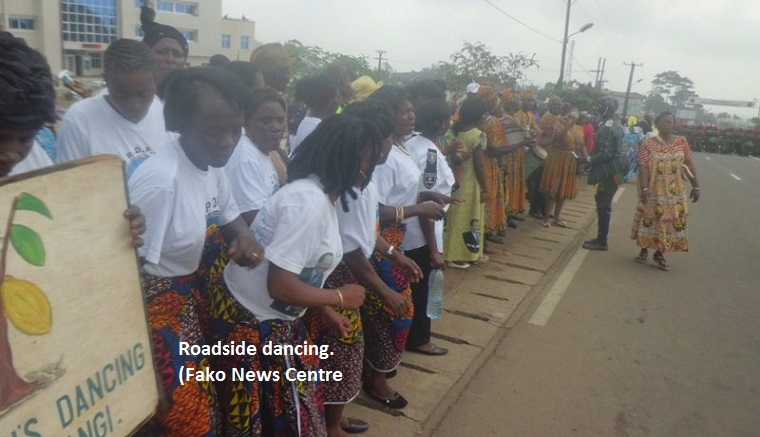 Though activities at the Independence Square in Buea were entertaining, many people who turned out to witness the occasion regretted the tight security that prevented full view of the activities.